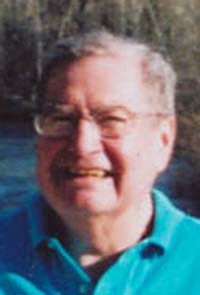 Thomas Joseph Bertrand died in Hailey, Idaho, on Tuesday, Feb. 28, 2012. Tom was born in Parkersbarg, W.Va., on April 13, 1933, the son of Wallace and Elizabeth Bertrand. He lived in Sacramento, Calif., Jackson Heights, N.Y., and Indianapolis, Ind., as his father, Wallace, an accomplished meteorologist, had career opportunities moving the family. Tom enlisted in the Army and then attended Purdue University and received a degree in mechanical engineering in 1958. He married Anne Abell in August 1955, and eventually they moved to Louisville, Ky. Tom worked for Shell Oil Co. and then spent the next 30 years working at Ford Motor Co., retiring in 1993. Tom was a member and board member at the Louisville Boat Club, belonged to the Pendennis Club, The Filson Club, the Louisville Orchestra, the American Sports Car Association, the Miniature Race Car Association and the Historic Homes Foundation. Tom relocated to Hailey, Idaho, in 2008 to be with his family. Tom was interested in travel, history, aircraft, racing sports cars, restoring sports cars, miniature race cars and playing tennis. He will forever be remembered for building a single-engine plane in the basement of his home in Kentucky without much consideration for its exit. Tom's kindness, ease to laughter and quiet observations will be missed. Tom was preceded in death by his parents, Wallace and Elizabeth Bertrand, and his wife of 50 years, Anne Abell Bertrand. He is survived by his daughter Beth Crawford and son-in-law Jon Crawford, of Hailey, Idaho. A private burial service will be held in Cave Hill Cemetery in Louisville, Ky., in July. The family wishes to acknowledge Blaine Manor for its personal care and dedication to Tom's health and happiness for the two years that he lived in the senior care facility. Expressions of sympathy may be directed to Blaine Manor, Box 927, Hailey, ID 83333.